CatCon Worldwide is the biggest cat-centric, pop culture event in the world, and the fourth annual event, set for Aug. 4 and 5, in Pasadena, CA promises to the biggest yet. Want to meet the biggest of the biggest Instagram Cat Superstars Lil BUB, Ian Somerhalder, Cats of Instagram and Pudge, and Moshow the Cat Rapper, they’ll be there. So, won’t New York Best Selling Author, Gwen Cooper. There’s no better place to go and get your cat fix and big dose of cat than CatCon. With thousands of vendors, you can purchase the coolest, out of this world cat stuff for you or your kitty. If you want to dress up as a cat, sign up for The Furr-ocious Fashion Face Off. You can also learn about cats, or even adopt a rescue cat at one of the biggest adoption villages ever. Other celebrity cats include Morris, Merlin Ragdoll, Klaus (of Oscar and Klaus fame) and Coby the Cat. Also, on hand will be Sir Thomas Trueheart, who was badly injured in an acid attack, and Waverly McTinybeans, a partially paralyzed cat. Waverly is really an up-and-comer, a leader in the disabled cat movement’ according to Susan Michals, who founded the convention in 2015. Designed to inform, educate and entertain people about all things feline, this mega-cat event’s popularity grows every year, and it’s expected this year will surpass last year’s 30,000 attendees. The mega-cat-events are catching on, with London having its first CatFest, July 14, and Austin, Texas hosting PopCats on Aug 25-26. While each of these mega-cat-events has its own twist and nuances, they all have one thing in common – to inform, education, and entertain people about all things feline, while raising money for cat rescue and adopting out cats. Paws for Reflection certainly wishes we could go to one or more of these super cat events, but that’s not in the cards for 2018. There’s one thing for sure in life, and that’s change. And who knows? We could be changing that in 2019. There’s no doubt, these events will be bigger and better next year. Needless to say, we’re thrilled to see the popularity of cats of the Internet come to the streets to help cats around the world. CatCon Worldwide is dedicated to all things feline. Cat lovers flock to what is donned as part expo and part symposium, that engages, educates and entertains thousands of fans, while featuring groundbreaking products and ideas. To date, this two-day event has attracted around 45,000 attendees, helped 327 cats find forever homes, and donated $143,000 to cat welfare organizations. That’s a lot of money for the cats! One thing for sure, CatCon is changing the negative perception of the crazy cat lady proving its hip and stylish to have a cat. It’s not just the atypical old spinster that has cats as soul mates. While we won’t find Taylor Swift at CatCon, she is just one example of famous, hip, and cool devoted to her two felines. 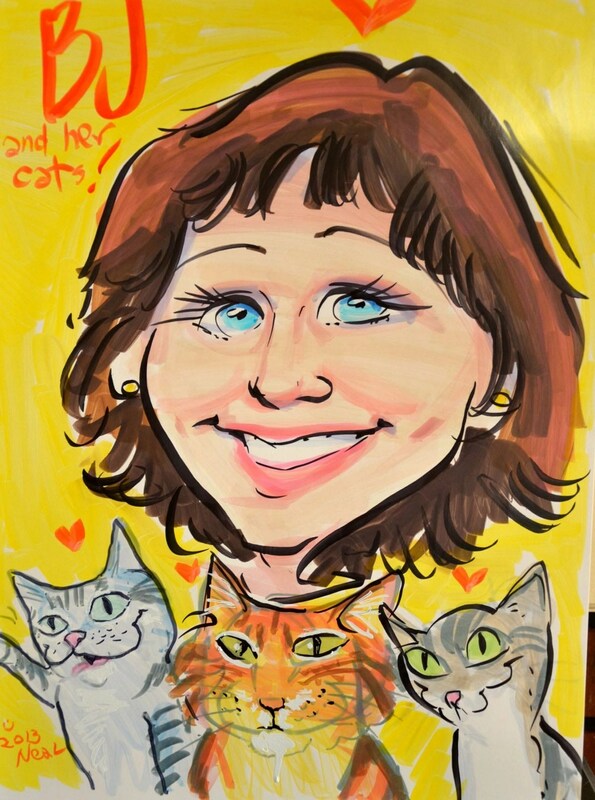 Event founder Susan Michals, a former television producer and print journalist, has stated one reason she founded CatCon, an outgrowth of the Cat Art Show LA. was to combat the crazy cat lady image and make loving cats cool. There’s lots of men who love cats just as much as women, and while not everyone loves cats, there’s a whole lot that do. Paws has written about explosive cat overpopulation extensively over the past several years. Check out some of the following blog posts, which focus on why early spay/neuter is so very important. But let’s get back to CatCon, which vigorously promotes ‘adopt, don’t shop’ because millions of adoptable dogs and cats are euthanized in the United States each year. When you adopt, you’re saving lives. Over the past three years, Ticket Out, Inc., parent company of CatCon and Cat Art Show, has donated over $130,000 to FixNation, Lil BUB’s Big Fund, Kitten Rescue, and the Ian Somerhalder Foundation and has helped over 300 cats find their forever homes with onsite groups Best Friends, spcaLA, and Pasadena Humane & SPCA. CatCon’s charity of record for 2018 is the Ian Somerhalder Foundation for the second year in a row. The Foundation works to empower, educate and collaborate with people and projects to positively impact the planet and its creatures. CatCon will donate $2 of every general admission ticket sale to the Foundation; funds generated from Meet and Greets will also benefit ISF, as well as Lil BUB’s Big Fund, Milo’s Sanctuary, Kitt Crusaders, and Kitten Rescue. Keep in mind, you’re not just having a chance to meet some famous celeb cats, you will be helping cats as 75 percent of Lil BUB Meet & Greets, and 50 percent of all other Meet & Greets will go to cat welfare charities. Paws would be remiss if we didn’t spend some more time talking about The Furr-ocious Fashion Face Off. Design your very best kitty cosplay for a chance to win a $500 gift card and other prizes! The event will take place on Saturday, Aug. 4 from 2:00 – 3:00 at CatCon! To enter, come to CatCon on Saturday in your best cat-spirational outfit and sign up at our Information Desk, located in the lobby and adjacent to Registration. They will be looking for creativity, attitude, and more! View the complete official rules here. Over the years, many attendees partake in various levels of CatCon Kitty Cosplay, ranging from bejeweled cat ears to full-body costumes. This is a big part of the fun that goes on all weekend long, including your chance to kick it up a notch and strut your stuff on the CATwalk. 10 am ‘Engineering for Cats: What Cat Care and Airplane Design Have in Common’. Join aerospace engineer, cat-enthusiast and author Mac Delaney in this workshop as he takes you through how to improve your cat’s life with some of his amazing DIY projects. Book signing to follow. 12 pm ‘Creating the PURRfect Cat Eye” with Vanessa Burgundy’. Understand the differences between gel, pen, pot, pencil, and liquid liner and learn what works for you in this “Purrfect” cat eyeliner workshop with master makeup kitten, Vanessa Burgundy. She’ll explore various cat-eye makeup through the decades and end with a step by step “purrtorial” that’ll give you a precise and purrfect cat eye every time. 3 pm ‘Feline Fine with The Two Crazy Cat Ladies’. The Two Crazy Cat Ladies are hosting a cat wellness workshop to give you tips, tricks and hacks on how to safely treat and prevent common cat issues like hairballs, urinary problems, arthritis and kidney disease. Brief presentation followed by open Q&A. 11 am ‘Ask the Cat Expert’. 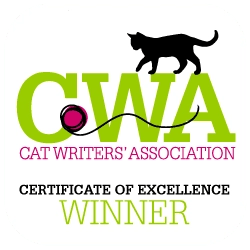 Spend an hour with award winning author and Conscious Cat creator Ingrid King and get advice and information about feline health, nutrition and lifestyle. 1:45 pm ‘How to Create a Purr-sonality: The Art of Rob Reger’. Join Rob Reger, creator of iconic character “Emily the Strange”, in an artistic workshop where you can learn how to create simple kitty expressions via eyes, poses, tails, whiskers! This is just a smattering of what CatCon has to offer. Seminar topics also include ‘Everything You Wanted to Know About Foster Kittens…But Were Afraid to Ask’ and ‘Cats Are People Too: Beyond the Memes and Media Hype.’ Paws truly believes this is the case, as cats are just the best medicine for our physical and emotional health. To purchase tickets or find out more about this super cool cat event, visit CatCon 2018. Have you ever been to one of these pawsome mega cat events. Paws is adding a plug-in so you can upload some of your best photos from CatCon. Please share your photos, your stories, and your photos, so we can all get a taste of this mix of Pop Culture and Cat Culture. Haha. 2 cats man in the picture. Where is it? Who knows what next year might bring. It sounds absolutely great. I would love to go to this, I wish they would have it in NYC. 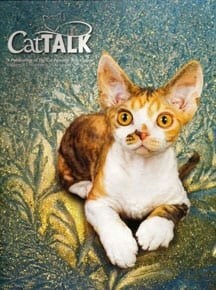 Jackson Galaxy has CatCamp in NYC in May. Not quite the same, but you might want to check it out. I wish a mega cat event would come to Boston. I’d be there in a flash. My human will be there! Lucky you. I’m jealous. Any chance you might share some photos for us to use on our blog and event promotion?? Next story How hot is too hot to leave your pet in a parked car?